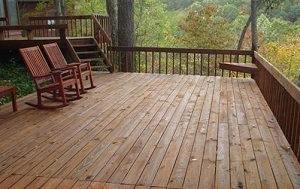 If wood is left outside like when used for decks and docks it becomes weathered and starts to show sign that is aged this can make to wood look tired and worn makeing your deck or dock look worn. The best thing to do is higher a professional wood maintenance service that uses a two part system to clean and brighten your wood. The most important part of this is that you need a real professional as the impoper use of these chemicals can accually cause more damage than good. Our trained professionals have yers of experience in the wood maintenance field and can quickly handle any wood maintenance task that you have. If you're looking for a professional deck cleaning contractor in Manteo, then give us a call 252-266-9457 or complete our online request form.